What does this have to do with money and personal finance? Well, in the first place, true to the title of the show, there are 2 girls, and they are broke, y'all. Like, seriously, seriously broke. They're so broke that they live in a ratty (albeit huge) apartment in Brooklyn, and they have a horse that Caroline absconded with while she was running away from those who would have lynched her father. See! They're really poor! Also, they can't even afford to write the word "two"! They are 2 Broke Girls, not Two Broke Girls. spelling out numbers is elitist. Also, and you might call this the premise of the show, but the 2 broke girls are trying to save money to start a cupcake business. You see, Max had been happy making cupcakes for little or no profit (because she is poor, didn't go to college, and is therefore a DUMB-DUMB), and when Caroline arrives on the scene (who allegedly has an MBA but cannot find a job due to everybody hating her father), she wants to elevate herself and Max by, shockingly, saving money for a cupcake shop and also selling cupcakes for a profit. Caroline estimates how much they need to save for a shop (I don't remember what figure she came up with, but I thought it was shockingly high), and every episode ends with an updated total of how much the 2 broke girls have managed to save. While I watch the show because I don't have any taste, I do have a couple of concerns about it. First, even though Max is scrappy, the premise of the show seems to imply that poor people are too stupid to help themselves (if Caroline hadn't come along, it stands to reason Max would have continued her life of squalor and never tried to branch out on her own). While I am not of the party that believes that just because a person CAN do something means that that person SHOULD do that thing, if Max's cupcakes are as #@$&ing delicious as everybody claims they are on the show, one would think that Max would have eventually realized her self-worth and struck out on her own. My other concern is in regards to the other people who work at the restaurant (where Max got Caroline a job too - sisterhood, y'all! ), who are all broadly drawn ethnic stereotypes. However, the one who takes the cake is the owner of the restaurant, Han Lee. I'm not going to give examples because EVERY SCENE HE IS IN is an over-the-top stereotype of Asian-Americans. 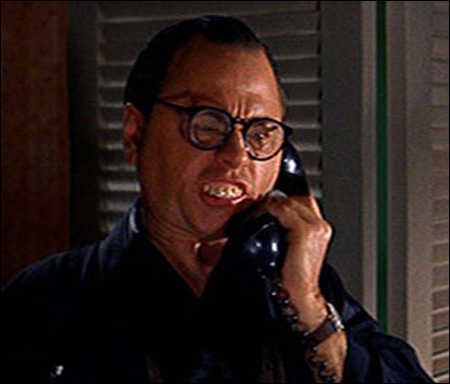 The only way that Han Lee could be more of a stereotype is if he were played by Mickey Rooney in yellow face. This week's episode was no different. In the episode of 2 Broke Girls that aired this last Monday (which you can watch here), the plot centered on the idea that Caroline had been hiding away some designer rings (called TAT rings) for a rainy day, and the rainy day occurred in the form of Max's oven going kaput. As you may know, it's mighty difficult to make cupcakes without an oven. Max fantasized about getting a fancy oven, but then said that it was too expensive. Caroline took her rings over to a cash for gold place, and they offered to pay her 1/10th of the price she paid for them. This was too low a price for her, so she decided to try to return them. The store refused to refund the ring (in part because the store manager is somebody whom Caroline inadvertantly got fired from a previous job - what's this? 2 poor groups of characters? How shall I know whom to side with? ), and so Caroline decides to hold a "pop-up" sale, which is apparently some trendy thing where people randomly set up shop at random places for random periods of time. Unfortunately, even though Caroline has potential buyers, the sale falls through because some of her friends see her and she is embarrassed. She then runs off to have lunch with her former friends, irritating Max in the process. Fast-forward to the end of the show. Caroline has sold all of her rings by selling them to cash for gold places (by leveraging their quotes against one another), and in a GRAND GESTURE, she has bought Max the deluxe oven. Max is elated. Are you ready for my personal finance point in all of this? Here it is: just as I am befuddled that people sell their belongings for less than they are worth on Pawn Stars, why, if MBA-educated Caroline has identified a ready, willing, and eager market for these TAT rings, does she go back to the cash for gold places? She literally found people willing to pay much more to sticker price for her rings with ALMOST NO EFFORT, and she decided to go back to those people who offered fractions of the price she was hoping for. While it is commendable that she leveraged the stores' offers against each other, she almost certainly still left with less than the rings could have been sold for. It seems to me that Caroline is the dumb-dumb now. A key to building wealth and financial stability is maximizing every money-making opportunity, and if you don't have a lot of assets (e.g., your rainy day fund is a squirreled away set of designer rings), you can't afford to leave money on the table like this. 2 Broke Girls, for shame! 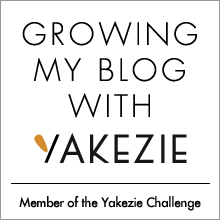 This post was featured in the Carnival of Personal Finance #342. I had to stop early in the post because I'm confused - how else would you pronounce Caroline? I've also heard it pronounced care-oh-lynn. Thanks for stopping by! Love this, Bryan. Hate the show, love the post. I read somewhere that the three broad-ethnic-stereotype characters have a full season contract, so the show has to keep them around. I would be astonished if they appeared in season 2 -- although it's astonishing that the pilot got picked up including those three terrible characters. Annabelle, I hadn't heard that about those characters, and it certainly makes a lot of sense that they HAVE to stick around for now. I mean, I can see, abstractly, thinking that any of those characters might be funny (even if offensive), but there are so many steps between thinking that and actually getting them on the produced show! It's ridiculous!